Heel Height: Approx. 5'' Tall. 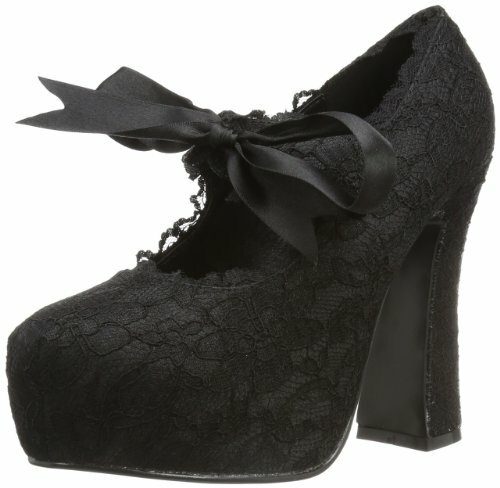 Black Satin MaryJane Heel with Lace Overlay and Ribbon Bow. Heel Height: Approx. 6'' Tall. Criss cross double ankle strap sandal featuring corset lacing at the back. 7" stiletto heel, 2 1/2" mid platform satin and lace overlay sandal with adjustable buckle closure wrap ankle strap. 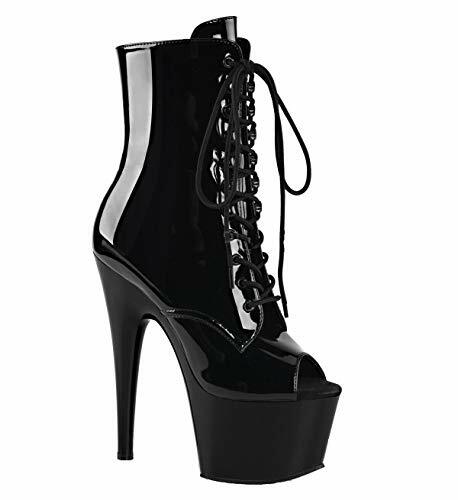 Want more Pleaser Lace Platforms similar ideas? Try to explore these searches: Paradise Landscape Lighting, Corner Wood Bits, and Keratin Color Care Conditioner.